Yeh Hai Mohabbatein Karan traps Yug. Yug wants to ask Shagun about Aaliya. He finds Aaliya and gets happy to see her once again. He is madly in love with her. Aaliya leaves with Shagun. Ishita catches hold of Yug and asks him why is he here. Yug tells her about his love for Aaliya. He apologizes to her. He asks her about Aaliya and her background, so that he can know her well. Ishita loses his cool and slaps him. She asks him not to dare say such a weird thing. She asks Yug if he knows Aaliya that he has fallen in love with her. Yug tells her that he has seen Aaliya, but she didn’t see him. He gets happy to know that her name is Aaliya. She warns him and asks him to stay away from Aaliya. Yug doesn’t listen to her at all. He gets happy to think about Aaliya. She tells him that she will break his legs if he meets her. Yug thanks her for telling her name to him. Ishita can’t believe this. Yug tells his friends about Aaliya. He is glad that he found the crucial little information about his dreamgirl. Yug tells them that he has to meet Aaliya some how. He is ready to face any troubles to get his love. Ishita feels bad that Yug will pose a trouble for Aaliya. She doesn’t want Aaliya to face any trauma because of Yug. She thinks of informing Raman about Yug. She knows things will go out of hands if she keeps numb. Karan drops Ruhi to the office. She asks him not to follow her. He tells her that he has joined his friend Gaurav, and now he is representing Gaurav in the business meeting. He tells her that he doesn’t wish to hurt or trouble her. He asks her not to get affected by him. Ruhi tells him that he doesn’t matter to her and she doesn’t mix her personal and professional lives. Shagun and Aaliya go for the meeting. 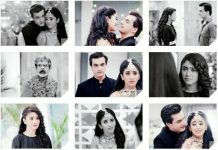 Aaliya faces a tough time. She fails to impress the client. The client scolds Aaliya for cheating her. She doesn’t like to work with Aaliya. Rohan helps Aaliya in time by getting the file. He requests the client to give a chance to Aaliya, since she is very hard working. Aaliya gets the deal. She gets thankful to Rohan. She gets dizzy suddenly. Rohan gets worried for his wife. Yug wants to get Aaliya’s further details. Yug gets busy in work. Raman stays stressed about Aaliya. He fumes when he finds Rohan with Aaliya. Ishita wants Raman to accept Rohan and Aaliya’s relationship. She tells them that Rohan loves Aaliya and its very clear to them. She doesn’t want Raman to pose any hurdles in Aaliya’s love tale. Rohan learns that Aaliya has kept a fast for him and fainted down. Rohan and Aaliya want to start fresh and give a chance to their marriage. 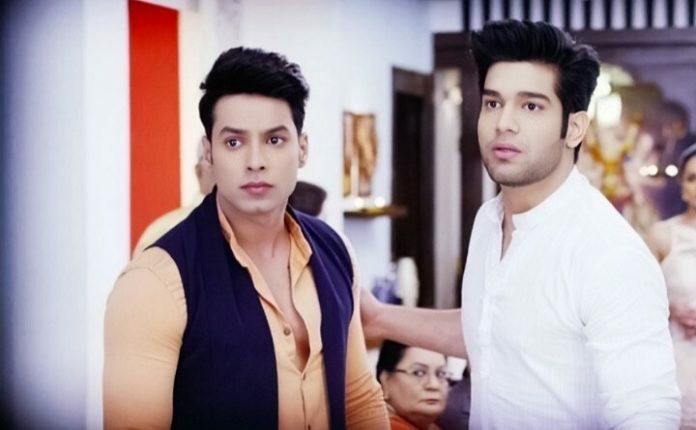 Karan comes across Yug and realizes that he is Adi’s lookalike. He decides to employ Yug in his plans. He wants to use Yug in breaking Aaliya and Rohan’s marriage. Karan will be bringing innocent Yug in between Aaliya and Rohan’s love story.